It’s not often you find a modern day “Viking” in Fort Worth, Texas, but that was exactly where young Kajl (pronounced “Carl”) found himself in 1953. “I love people,” says Kajl, a former chef, who is as affable and gregarious now as he was in his younger days. And that’s a big part of what the Meals on Wheels delivers for him—people. Making his way from his homeland in Norway, Kajl’s journey took him to Le Havre, France. From there he set off on a nine-day voyage in 1953 across the North Atlanta to Quebec, ultimately landing in Minneapolis to study culinary arts. But it was his love of country music and western legends that wooed Kajl even further south to his new home in Fort Worth, Texas. There he learned English by clerking in a hardware store and asking customers how to properly pronounce the words of the tools and materials they were buying. It was not long before Kajl put his training to work and found himself wielding tools of another sort—knives, spoons, ladles and pans in the kitchens of Fort Worth’s four-star luxury hotels and top-tier clubs. Kajl was comfortable with a wide variety of diners he met during his travels around the world. And his facile language skills, including Norwegian, French and Spanish, matched his talents with sauces and carving much to the delight of management and guests. Soon his career shot off, continuing until the chef retired from the Worthington Hotel. Now in his 80s, this man who dedicated his life to feeding those around him with world-class meals has seen his fortunes change. Now he must rely on the kindness of others to bring him daily meals that he is no longer able to provide for himself. Across town Bettye, also in her 80s, faces a similar situation. 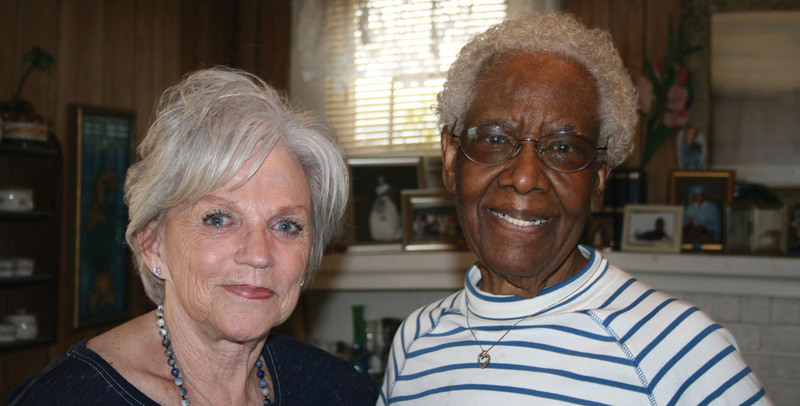 Bettye worked for Fort Worth’s school district and nudged her church to join other faith communities to help elderly downtown residents receive a hot, nutritious meal once a day. She volunteered for years with the organization that has become the Tarrant County Meals on Wheels (MOW). With age, the tables turned. Today, instead of bringing food to others in need, volunteers bring Bettye a daily hot meal. Bettye was one of the founding Meals on Wheels volunteers back in 1973. Now in her 80’s, she is able to remain at home because of the support she receives from the program. Now in its fourth decade, the MOW program serves the area around the Fort Worth, Texas metropolitan area. It has become an invaluable part of the lives of many older residents like Kajl and Bettye who were community stalwarts in their younger years. 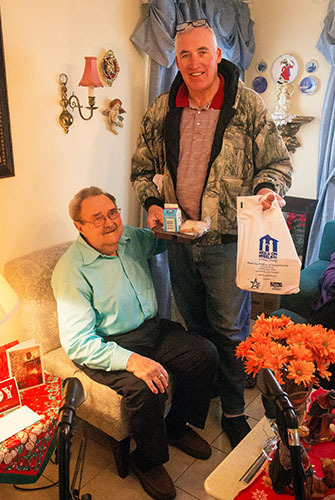 More than just a meal provider, the MOW service enables individuals to age in their homes and remain a part of the community they know and love. Given that 10 percent of Tarrant County’s population is age 65 and older, this service is invaluable. It becomes even more important when you realize that these individuals make up a big portion of the nearly 20 percent of residents who live below the poverty line. The nonprofit’s main task is to provide one hot meal a day to elderly and homebound residents across the area. Yet, those who deliver food also make contact and can observe when someone is looking poorly or when they need a fan or air conditioner or roof repair. Over time volunteers become friends and social contacts, forming rich bonds and partnerships within the community while looking after its most vulnerable. “I love people,” says Kajl who is as affable and gregarious now as he was in his younger days. And that’s a big part of what MOW delivers for him—people. Matt McEntyre, a local business owner who delivers two routes including Bettye’s, brings Kajl a meal on Tuesdays, and they joke a bit. Another volunteer brings hot meals to Kajl on Thursdays, and he gets picked up for the Jewish Senior Center other days for lunch, bingo and card games. Kajl calls the MOW food “good…wonderful” and repeats again, “I love people.” He’s so eager to visit—even while his meal cools. In addition to the hot meal Kajl receives twice a week from MOW, he gets a diabetic’s supplemental drink for breakfasts. Also, the volunteers’ eyes and ears stay alert. As his vision faded with macular degeneration, they got him a watch for the blind so he could continue to tell time. A couple of years ago, during Texas’ drought and high temperatures, his air conditioner went out. Volunteers do more than just provide meals. When Bettye’s house needed “a new hat”, Judy Smith – a MOW board member and roofing company owner – stepped in to help. MOW has an emergency budget for fans and air conditioners and coordinates with city firemen, who volunteer to help with labor-intensive tasks. That same day, two firemen arrived at Kajl’s with a room air conditioner and installed it, preventing a heat-related crisis. Typical of the organization’s “eyes and ears” role, people noted holes in Bettye’s roof and tapped into a local roofing association’s philanthropy to provide roofs for those in need. Bettye’s house received a new hat. It is that lifeline to kinship, services, meals and medication management that allows her to live at home long after she would have been able to without her community’s support. Since its inception, the program has delivered more than 18 million meals and now regularly provides nearly one million meals each year. However, the demand for MOW services is expected to increase by 50 percent, to 1.5 million meals per year, by 2020. The leadership realized that they lacked the capacity to meet those needs. Meals on Wheels president and CEO, Carla Juston, shows off the new building taking shape. The new structure will allow her team to serve 1.5 million meals a year across Forth Worth, Texas. Yet, as a nonprofit, they also needed creative and flexible solutions to finance the construction necessary to expand. 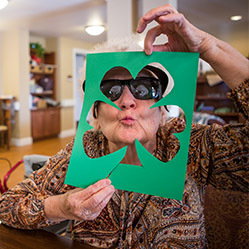 Capital Impact Partners has a long history of financing innovative solutions to help older adults age with dignity. And so, the organization saw an opportunity to leverage public / private support to help the program meet its needs. Capital Impact joined with JPMorgan Chase, Urban Action Community Development and Community Hospitality Healthcare Services to put together a $15 million New Markets Tax Credit (NMTC) transaction. 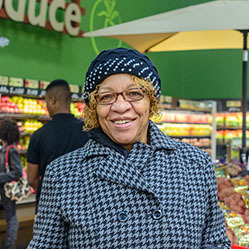 The NMTC program is part of the U.S. Treasury’s Community Development Financial Institutions (CDFI) Fund, which helps attract private capital to low-income communities. This program works by giving individual and corporate investors a federal tax credit in exchange for making investments in CDFIs who in turn provide low-cost loans to enterprises. Ultimately, it helps increase access to critical services in underserved and low-income communities. In 2015, the organization broke ground on a new 62,000 square foot meal production and distribution facility. The new structure will be more than twice the size of the organization’s current facility. It will house the central kitchen, volunteer training center, nutrition intern project center, storage / distribution center, meeting space and administrative office. The partnerships she has woven through the community yield daily volunteers, businesses, foundations and other agencies; these groups are the foundation of this effort. A great example of this is the fact that several of the 5,000 MOW volunteers are board members. That includes Judy Smith, the roofing company owner who worked on Bettye’s home and also sold MOW land at a bargain. Kurt Kulpa, an accountant, started volunteering with MOW years ago and was board chairman when MOW decided to build their new facility. Building a Project Serving Seniors?